Nearly a decade of teaching has filled my story coffers with other great tales of final exams which compare donkeys having conjugal relations with dogs as an example of irony (“You said it was when there was an unexpected twist!”), students who didn’t know what to do with a cassette tape (“When was this thing MADE?”) and kids who spent an inordinate amount of time building a tank as part of a biographical report on Dwight D. Eisenhower, and yet somehow neglected to turn in an actual research paper ( “I failed? But why? The tank is two and a half feet tall!”). When my husband joined the Foreign Service and I resigned from my fabulous position in Marsing, I wondered if those moments of sheer craziness were going to be a thing of the past. As it turns out, I had no need for concern. While I am sure this holds true of many postings throughout the world, Chengdu provides me with just enough insanity on a daily basis to keep my on my toes. Take today for example. The sun was shining (something not to be taken for granted here! ), spring was in the air and fried rice was calling my name. Along with two good friends, I headed down what has lovingly been dubbed “Noodle Alley.” This is a one-lane “road” lined with an array of tiny restaurants, kiosk shops selling everything from twine and mops to light bulbs and metal tubing, and filled with cars and scooters trying to wind their way (in both directions) around the foot-traffic and pineapple-on-a-stick laden carts. We were headed to a small restaurant which I am sure has a name, but since my character reading skills have basically rendered me illiterate, I find by looking for the hole in the wall with a scrolling digital sign above the door. After sliding between the six tables set up in the inside part of the restaurant, we wove our way through the kitchen, passed the waves of flame scorching the low ceiling and around the old man shaving noodles into a pot of boiling broth, popping out behind the building onto a sidewalk turned restaurant courtyard. We pulled up tiny Hello Kitty plastic stools and ordered our dishes of MSG flavored egg fried rice. (Yum!) As we sat chatting about how nice the last few days of sunshine have been, enjoying our heaping plates of lunch, I noticed a mangy cat picking its way across the corrugated plastic of an awning. As I stared, transfixed by its awkward posture, I realized it wasn’t crouching to keeps its balance on the uneven surface, but rather because it was taking care of business, just above one of the outdoor tables. I couldn’t *not* point this out to my companions, who turned to look, laugh and then quickly returned to their meals. In America, people often joke about the five-second rule for food that drops on the ground. While in China I abide by a strict zero-second rule when it comes to anything touching the floor, I apparently am quite comfortable with a three-table rule when it comes to cat urine and my lunch. So, while it may have been years since I’ve had a praying mantis shoved unceremoniously into my face, it has only been a matter of hours since I enjoyed the pitter-patter of feline pee as the soundtrack to my meal. It will come as no surprise to anyone who follows these book reviews that I am a huge fan of post-apocalyptic and utopian/dystopian fiction. My fascination can be traced back to middle school when I stumbled upon Robert C. O’Brien’s Z for Zachariah (a fabulous young adult book!) and then it followed me through my high school discovery of George Orwell and Aldous Huxley. And while I’ve read more books than I could ever count, one that has lingered large in my mind, even years later, is Cormac McCarthy’s The Road. It is with this reading genealogy that I stumbled upon an online article about Wool, which I read probably half of, before tabbing over to BN.com to purchase and download my very own copy. 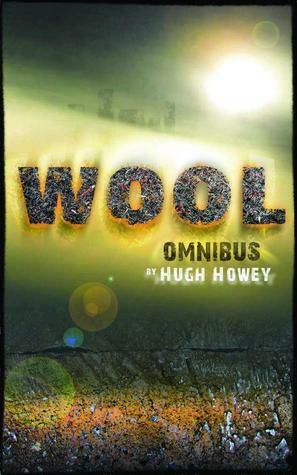 Hugh Howey’s Wool has been tearing up my newsfeeds with tales of how he skirted the establishment when it came to publication, how as an author he is forging new routes to publication and what shifts in the industry might come from his new take on publication. And, while I find all of those things interesting, I’m much more impressed with the product itself- his book! Wool’s setting is a silo, in which lives an entirely self-contained society. Within their small (although not-so-small as you find out just how much the silo contains!) world, these people live lives dedicated to keep their silo running. Some work in the (literally) higher levels as law enforcement and government, while others man the farms that are fertilized with the remains of the deceased and still others work at the lowest levels of the silo, keeping the machines that provide clean air and water functional. In such a closed society, the biggest taboo is to express a desire to leave the silo. Merely mentioning a wish to step outside is greeted with the harshest punishment possible- cleaning. To be sent to cleaning is a death sentence- as it means going outside the silo into the polluted air to clean the lenses that allow the inhabitants to see what lies beyond their walls. Each time someone is sent to cleaning, they swear they won’t do it, they will go outside and die without polishing the sensors, and yet every time, once the doors of the silo close behind them, the doomed does the cleaning. But why? Flat Stanley-if you aren’t familiar with this two-dimensional world traveler, grab your car keys and head straight for the nearest bookstore! He may be paper thin, but he’s been all over the globe and back, teaching kids about geography and culture and hopefully inspiring the next generation of backpackers, Peace Corps Volunteers and Foreign Service Officers. When I was last home in Idaho, a friend gave me her daughter Hailey’s version of Flat Stanley- Flat Hailey. Flat Hailey is a world traveler in her own right and needed to add a few more country stamps to her passport. So, with that in mind, I slipped Flat Hailey into my carry-on luggage and brought her to China for a few months of adventure. Flat Hailey has now been slipped back into an envelope and is headed back to Idaho this week, but below is the letter she wrote to Real Hailey about her adventures, along with some pictures of her journey. Thank you for sending me to Asia this winter. It gets very cold in Idaho and I was happy to go somewhere a little warmer for a few months. As much as I like the snow, you have had much too cold of a winter for me. After all, I am only wearing a dress- not exactly a good outfit choice for winter in Idaho. As you know, I love to travel and see new things and in the last few months, I have done a lot of that! Thanks for sending me on a new adventure. Upon touching down in China, I was surprised by how many people there are in Chengdu. This place is packed! The city has more than seven million residents, who all seem to be going somewhere all of the time. When I was out exploring, I almost got ran over by a scooter once or twice. Luckily, I quickly learned to look both ways and then both ways again before crossing any street- even at the crosswalk. For a few days, I went to work at the US Consulate. Sorry there are no pictures of that! I had to lock up my camera each time I visited. But, it was fun to see all of the Chinese people who were hoping to come to America and have their own adventures. I wonder if any of them have “flat” friends. In China, I also went to a history museum. At the museum, I learned a lot about how Chinese women used to have their feet wrapped up very tightly to make them tiny. This was called “foot binding.” The many different shoes were very small, but the sewing on them was beautiful. There was a purple pair that I especially liked. I also learned more about the earthquake that happened in China in 2008. I got to meet a pig who survived being buried under rubble for six weeks. Because he didn’t have food to eat when he was trapped, he ate coal. I think that would be a terrible dinner! Again, cupcakes would be much tastier! Now he lives at the museum and is very fat. The museum must feed him anything he wants because he is gigantic. Chinese New Year also happened while I was visiting Sichuan. Instead of celebrating the arrival of the New Year on January 1st like we do in the United States, the Chinese celebrated it in February. This year is the year of the snake! To ring in the New Year, the whole city lit up with fireworks. I have never seen anything like it, not even on the 4th of July in America! I didn’t spend my whole three months of traveling just in China though. During the Chinese New Year holiday (they take a week off of work), I flew to the Maldives, which is a country made up of tiny islands in the Indian Ocean. It was beautiful! You know how much I like sunshine and this was the perfect vacation from my Chinese travels. I got to stay in a hut over the water where I could watch fish all day long! I spent some of my time snorkeling, seeing puffer fish, rainbow fish, trumpet fish, starfish, sharks and so many more things I can’t list them all. Each day when I got back from swimming, I hung on the clothes line with the bathing suits so I could dry out before dinner. I also spent time relaxing in the sun, getting a bit of a tan (and maybe a little sunburn too) as I sprawled out on a chair and read lots of books. I’m particularly partial to the Flat Stanley series. I think we have a lot in common. It has been a very good few months of traveling, but now I am super excited to be home and share all of my photographs with you, Hailey. Thank you for letting me go on such a great adventure. I can’t wait to find out where you will take me next! I am emailing you this letter now, as I am going to hop into an envelope and start my journey home tomorrow. It will probably take me two or three weeks to make it back to your house, but I can’t wait to see you again. Look for me in your mailbox! With our population of Baby Boomers growing ever-older and the social norms of the following generations creating a society with less room for these aging Americans, many communities in the US face a looming crisis of how to adequately care for the shifting demographics of their populations. This trend of seeing elderly folks without next of kin willing/able to provide such support has created an ever-enlarging segment of our population, dubbed “silver orphans” by sociologists. 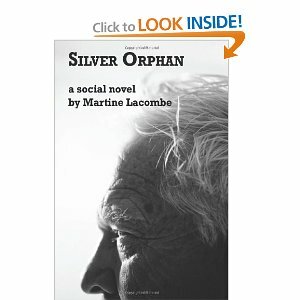 This emerging predicament forms the basis for Martine Lacombe’s first novel, Silver Orphan: A Social Novel. While I’m not sure why Lacombe chose to include “A Social Novel” as a part of her title, as there are currently many authors attempting to address social issues through their fiction, I do appreciate her tackling a problem that is just emerging within our society. Recently, many authors have undertaken writing about tough issues such as bullying and school violence, but Lacombe comes out ahead of the crowd, bringing to light a problem that isn’t making the bold-faced headlines yet, but will be soon. 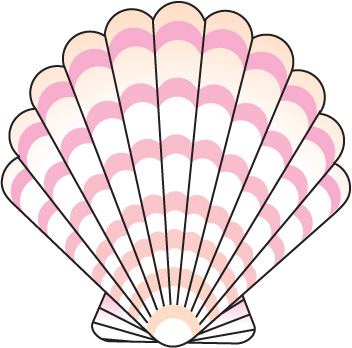 Brooke Blake is immediately introduced to the reader as the lead character (I hesitate to call her protagonist, as her personality is off-putting enough to not want to use “pro” anywhere near her name), whose life quickly becomes interwoven with Frank, an octogenarian who needs some support. This is the first place that I struggled a bit with the story-telling, as after a rather lengthy introduction to Brooke as a high-paid pharmaceutical rep with shoes that cost more than I make in a day and a cold demeanor meant to put all in their place, I had a hard time suspending believe enough to imagine that she would actually pull over for a random hitchhiker, then not only take him home, but become a part of his life. The idea of someone coming into Frank’s life to be a support and then push his story beyond his death is a great outline for a story, but I just don’t find Brooke believable in this role. The jump from her character in the first ten pages to her character just thirty pages later is too far for me. Beyond the far-fetched connection of these two characters, the other aspect of Silver Orphan that I struggled with was the sometimes halting dialog. When Lacombe is telling the story from the narrator’s point of view, the writing is smooth and, at times, even poetic, but once she is forced to put words into the mouths of characters, something in the flow is lost. The multi-layered settings of the book create one of the high points of the novel, as Lacombe braids together stories from the current time, the recent past, the WWII era and the height of the Italian immigration. History that is often glossed over by textbooks is uncovered throughout the book, making the novel a mini-social studies class, thanks to Frank’s genealogy. There are times that the historical references seem a bit forced (I have to admit to still being confused about why the tale of Orson Well’s War of the Worlds is included), but this novel could find a place as a companion novel in a high school history classroom. I’m a sucker for a patio. (That sentence initially used “deck” in place of “patio,” but I was worried a quick skim could lead the reader to a very wrong conclusion, so thought a less potentially awkward synonym would be a more appropriate introduction, although I did used to preach “hooking your reader” to my 8th graders when we wrote essays. “I’m a sucker for a deck,” read quickly and slightly incorrectly would definitely qualify as a hook!) If we are planning dinner out in the summertime and I’m asked for my restaurant input, my only requirement is a deck. I could really care less what type of restaurant, as I’ll just be ordering the chicken strips anyway, but if it has a nice, sunny, outdoor area, I’m in! Overall, there are few little pleasures in life I enjoy more than sitting outside on a warm summer evening with something to drink and a book. So, B&Q. While tile searching, I noticed they had a small outdoor area, but didn’t have time to check it out. When weekend rolled around again, Thad was lucky enough to get to go with me to see what they had for our balcony. Upon initial inspection, they seemed to have a good selection of chairs, and surprisingly, there were no locals lounging in them, just for the heck of it. After sitting in all of the different options, I narrowed it down to the chair/table set I wanted, so Thad called over the closest employee to ask him to get us two chairs and one table. He gave us a slightly odd look and said everything they had was on the floor. That means, they had exactly ONE of every chair. I’m not looking for anything fancy, but I would like the two chairs to at least match! After several minutes of discussion, I am still unsure if the furniture on the floor is the leftover stock from last year and they are waiting on this season’s to arrive or it they just have a super limited supply. Either way, I’d like two matching chairs, so back home we headed. Frustrated with the local options, I opted to check out Amazon.com and see if they could help me out. (I’ve decided diplomatic families ought to get a discount at Amazon, considering how much we all buy there on a very regular basis. Each Tuesday and Friday when I visit the mailroom at the consulate, there is always a stack of Amazon boxes, easily identified by the orange swoopy arrow along the edge of each package. There is serious kuai spent there each week!) I found several possible options (although at prices higher than I would have liked, but I was annoyed and ready to have my chairs), but after adding them to my cart, before hitting the “purchase” button, I decided to quickly review the shipping limitation of our pouch mail system. Sure enough, the chairs, even un-assembled, would be too big to ship. Mail order options were out. Now that a month had passed, I thought maybe it was time to give IKEA another try. Since a good friend was headed to that side of town with his car on Friday night and knew I was currently a bit obsessed with patio furniture, he invited us along. I jumped at the chance to go shopping again, with the bonus of having an easy way to get my possible purchases home. On a Friday night, there were fewer photo shoots happening (although not none), and only a couple of families taking up space in the chair section, so we were able to actually sit in the various available option. After moving from chair to chair, picturing myself on the balcony with drink in hand, I settled on high backed wood and mesh chairs, accompanied by a latticework table. Perfect! The calendar page has been changed to March and my chairs/table are sitting on the balcony, just waiting for the perfect outdoor afternoon to arrive. Spring, I’m ready for you! Come early, stay late! I’m looking forward to a lingering spring season of occasional sunshine but consistent warmth. Ready, set, GO!